The spacious accomodations on the 34 Catalina have always been a huge factor in anyone considering a 34 cruising sail boat and "Carolina Breeze" is no exception! Crusie in comfort with built in 16000BTU AC/Heat, 2burner stove w/oven, 2 separate staterooms, a huge salon, well equipped galley, great head, comfortable staterooms, great electronics and sail inventory, "Carolina Breeze" is ready for you! 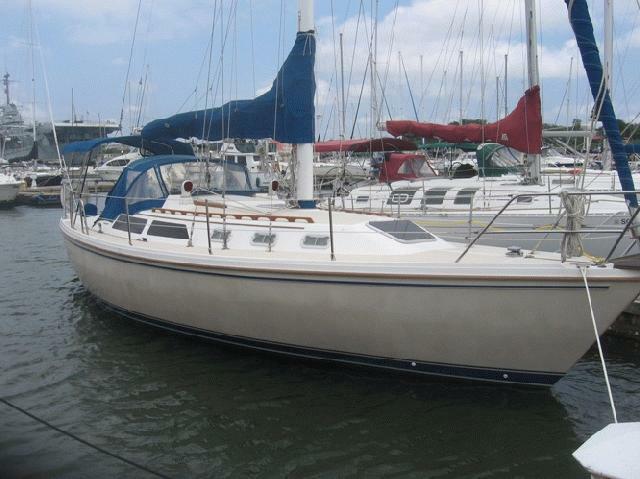 Meticulous owner has spared no expense in keeping the 34 Catalina in excellent condition, you won't be dissappointed! Easy to see in beatiful, historic, Charleston,South Carolina.